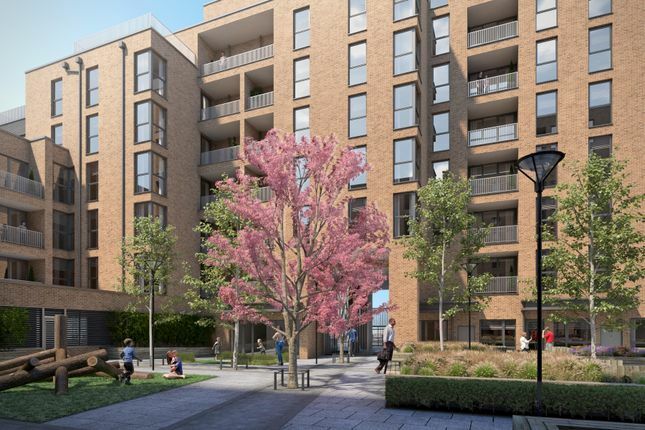 Just a short walk from The Rise, you will find a thriving hub of local businesses and shops, including a large branch of Sainsbury's and a number of independent studios and workspaces. In less than ten minutes you will reach Alperton town centre, with high street amenities covering cultures and cuisines from across the globe, along with the beautifully crafted local landmark, Shree Sanatan Hindu Temple. To the south east lies Ealing Golf Course and Pitshanger Park, separated only by the meandering and little-known River Brent. This is one of the area's most popular and spacious green areas, with leisurely walks along the riverbank akin to those of neighbouring Berkshire and Buckinghamshire. Percival Park Golf Course and Sudbury Golf Club can also be found close by, as well as facilities for football, tennis plus a variety of other sports and activities. *For the lowest priced one bedroom apartment. Terms and conditions apply. Indicative prices. May be subject to change. **Terms and conditions apply. Please ask your Sales Officer for details and terms. Property descriptions and related information displayed on this page, with the exclusion of Running Costs data, are marketing materials provided by Metropolitan - The Rise, and do not constitute property particulars. Please contact Metropolitan - The Rise for full details and further information. The Running Costs data displayed on this page are provided by SmartNewHomes to give an indication of potential running costs based on various data sources. SmartNewHomes does not warrant or accept any responsibility for the accuracy or completeness of the property descriptions, related information or Running Costs data provided here.